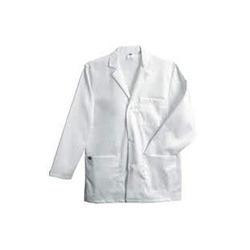 We have been able to provide to our coveted customers this high standard range of Medical Lab Coats. Customers are offered these coats in standard sizes with wider pockets. In the making of these coats, we have made use of high quality fabrics. 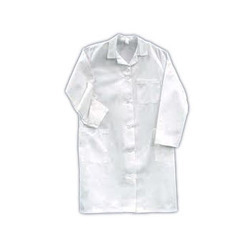 The fabric is extremely comforting, skin friendly and is easy to wash.
Owing to the expertise of our firm, we are able to fulfill the surplus demands of the organization by offering them these School Lab Coats. These coats are easy to wear and compulsory while carrying out laboratory experiments as these provide protection. We offer this range in wholesale prices and has been made from high quality fabrics. Standard sizes are availed in these coats for one and all along with compatible buttons. Looking for Doctor coats ?